Rate this Article There are many different horse games and in all of them you can make a payment to help you, but what is a micro transaction and how does it work? Like pretty much every other major games out there, horse games come with their own fair share of micro-transactions which basically allow the players to acquire some rare, premium content and contribute to their favorite games in a more direct way. In this article we'll be discussing these transactions in a bit more detail. First off before discussing these in more detail, let's first talk a little bit about what the micro-transactions in horse games are in general. Basically these transactions allow you to offer up real world money in exchange for various kinds of in-game content. In horse games this works out quite nicely since there's a lot of really cool stuff that these games have to offer such as horse equipment or various other decorative stuff. Moving onto the things you can purchase, it's worth mentioning beforehand that this article probably won't cover each and everything that's available since each different game has a different set of stuff to offer so there's a whole lot that simply cannot be talked about in a single article. We will however cover all the popular in-game stuff that can most of the time be acquired in most games. First off, you can utilize these transactions to buy actual horses in many games. 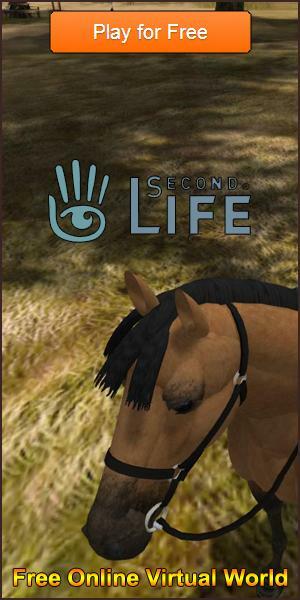 There are tons of breeds available and the prices of course vary depending upon the quality of the breed but the variety is pretty incredible so players can utilize this feature to get their hands on some really cool horses early on and then use them to progress further into the game. It's also worth mentioning that often times there will be horses that can't be acquired by any means other than micro-transactions and these premium horses usually come with a pretty good set of stats as well which makes them worth purchasing through real world money. Alongside buying horses, you can also buy training sessions for the horses you have at your disposal as well. There's a pretty immense variety of training sessions available, especially in some of the competitive horse games and in cases where you can't acquire them through the standard in-game way, the option to purchase them through micro-transactions is always available which helps a lot especially in cases when players need a horse to be ready for an event as soon as possible. Of course no discussion regarding micro-transactions in horse games is complete without mentioning the equipment that can be acquired through them. Saddles and other various kinds of gear can be purchased in this way. One thing worth keeping in mind is that these things aren't really acquired directly through the real world money but instead you must first acquire the game's premium currency and then use that to purchase the various kinds of rare equipment that the game has to offer. All said and done, micro-transactions are a pretty important part in nearly every single horse game of today. Speaking of horse games, we'd like to point out that they're great fun so you should try out a few for yourself to experience the enjoyment.